When visiting Gloucester ideally you should begin at Stage Fort Park where the Gloucester Visitor and Welcoming Center is located. Here you can park your car and hop on-board the seasonal Stage Fort Park Shuttle run by the Cape Ann Transportation Authority to see the sights or grab a map and talk to the knowledgeable staff about what to see, where to eat, and what not to miss as they provide you with all of the valuable travel aides your heart desires. In addition to providing information about the history of Gloucester and the nearby vicinity, the Gloucester Visitor and Welcoming Center has been officially designated an Essex National Heritage Area Visitor Center so the staff there can also hook up travelers with general information about the surrounding sites located in the Essex National Heritage Area. Though the first company of pioneers with the Dorchester Company landed at Half Moon Beach in 1623 and settled nearby while setting up their fishing operations in a field which is now Stage Fort Park, the history of Gloucester really begins way back on July 16, 1605 when French explorer Samuel de Champlain came ashore to meet the Native Americans who lived in the area during the summer months. Following the parlay, which included dancing by the local residents, de Champlain drew a map of Gloucester Harbor which he named Le Beauport (beautiful harbor) and then set sail for further explorations. Nine years later in 1614, the English Captain and explorer John Smith named the area around Gloucester Cape Tragabigzanda after a Turkish princess who had been kind to him in Constantinople while the Turks held him captive in 1602. Like de Champlain before him, Smith also drew a map of the region and upon completion of his explorations, he presented his map to Charles I who later renamed the region in honor of his mother Queen Anne. Also like de Champlain, when Smith was done exploring, he left behind common diseases from Europe which, by 1617, had decimated three-quarters of the Native American population who had danced for and extended the hand of friendship to those coming to their shores. By 1623, the English knew there was an abundance of codfish in the waters off Gloucester and the Dorchester Company sent out three ships from England to start a settlement along the coast so that a fishing village could be established. The company was originally organized through the efforts of the Puritan minister John White (1575–1648) of Dorchester who has been called "the father of the Massachusetts Colony" because of his influence in establishing the settlement despite the fact that he never emigrated himself. It was in the area of Stage Fort Park that the first fishing stages (drying areas) were built with the assistance of a group from Plymouth Colony. One of the early settlers in the small fishing village was Roger Conant, a salter (a person who makes or sells salt) in London before immigrating to the Massachusetts Bay Colony where he arrived in Plymouth with his wife and nine or ten children in what is believed to have been 1623/24. A "religious, sober, and prudent gentleman", Conant was soon dissatisfied with the way that Plymouth Colony was being run by the “contentious, cruel and hard-hearted" Puritans who had taken over and begun governing the colony by the use of fanaticism and violence following the death of their religious leader, John Robinson. Rather than stay in Plymouth, Conant and his family relocated to Cape Ann where they could work and worship peacefully in the fishing and trading outposts along the New England coast. In 1625, Conant was involved in a violent situation that he was able to peacefully arbitrate between Plymouth Colony military Captain Myles Standish and some of the Cape Ann fishermen led by Captain Hewes. In 1907 the citizens of Gloucester placed a plaque commemorating Conant's success as a peacemaker on the most prominent geological feature at Stage Fort Park, a large rock that measures sixty feet high and two hundred feet wide which was used as an ancient ritual stone by the Native Americans who lived in the area. Slowly settled as a farming community, the area was formally incorporated as a town in 1642 by the General Court of the Massachusetts Bay Colony. Taking its name from the city of Gloucester in South-West England from where many of its new occupants originated, the new permanent settlement was established at an inlet in the marshes at a bend in the Annisquam River where a meetinghouse was constructed and the Reverend Richard Blynman installed as the town's first clergyman. That area is now the site of Grant Circle which is a large traffic-rotary at which MA Route 128 joins with Washington Street/MA Route 127 within site of Stage Fort Park. It wasn't until later that Gloucester became known as a maritime community when the abundance of forests on Cape Ann played a major role in the emergence of both it and the neighboring town of Essex as two of the shipbuilding capitals of New England. Fishing, for which Gloucester is known today, was limited to close-to-shore in the early years with families subsisting on small catches until the introduction of a new type of ship known as a 'schooner' allowed crews to get out to the fishing grounds faster and make a quick return to sell their catch. Soon a wide range of supporting businesses - sail makers, chandleries, rope walks, marine railways, etc. - sprung up in town and the town center moved to the harbor where merchants opened their doors to sell a wide variety of goods and prosperous traders and ship captains built substantial houses. Today Gloucester is an important center of the fishing industry as America's oldest seaport and a popular summer destination for travelers looking to visit the working waterfront, bask on one of its beautiful beaches, venture out on a whale watching excursion, or dine on some of the freshest seafood in New England. Within view and walking distance - as long as you don't mind a bit of a hike - of Fort Stage Park is Stacy Boulevard where you can get a beautiful view of Gloucester Harbor as you stroll along the city's waterfront esplanade. Located closest to Stage Fort Park on the west end of Stacy Boulevard is the Gloucester Fishermen's Wives Memorial which was dedicated on August 5, 2001 by the Gloucester Fishermen's Wives Association (GFWA) to honor the women who have been - and still are - the soul of fishing communities. Morgan Faulds Pike, a Gloucester resident and winner of the design competition, was commissioned by the Gloucester Fishermen's Wives Association to build the twelve-foot bronze and granite Gloucester Fishermen's Wives Memorial which depicts a woman and her two children watching for their boat to return to Gloucester harbor. The inscription around the base of the sculpture reads: "The wives, mothers, daughters and sisters of Gloucester fishermen honor the wives and families of fishermen and mariners everywhere for their faith, diligence, and fortitude." During the dedication ceremony for the memorial which honors those whose family members chose to go out to sea, Angela Sanfilippo, GFWA president, stated: "The memorial serves as a testimonial to what wives, mothers, sisters, and children of fishermen of the world have endured because their men chose to be on the water. They had no choice but to stand on rock, to be on land." 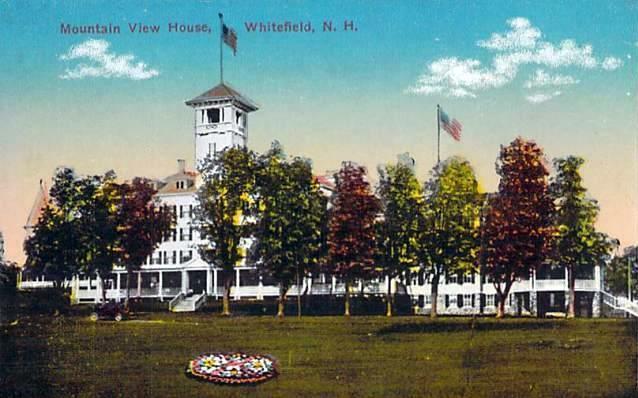 George O. Stacy was a prominent local hotelier and businessman who built the Hawthorne Inn in 1891, one of several large hotels in Gloucester that boasted a theater, art gallery, and a casino while housing up to 500 guests. Hit by arson in 1938 and closed after World War II, condominiums now occupy the property on Main Street where the grand hotel once stood. When he became Park Commissioner in 1908, Stacy brought with him the wish of his parents and his promise to them to have an esplanade built on the waterfront for Gloucester's three hundredth anniversary celebration in 1923. Once the designs for the esplanade were laid out, in order to make way for it, the city relocated the houses that crowded the harbor side of Western Avenue, dumped in fill, constructed a new seawall, planted trees, and bolted down benches so that visitors could sit and enjoy the view and the sea breezes without getting blown over! Just three years before his death in 1928, Mr. Stacy saw his half-mile boulevard completed and his promise to his parents fulfilled. In the same area as the boulder and marker for Stacy Esplanade is the busiest little drawbridge in all of New England with it's bronze marker that reads: "Blynman Bridge - 1907 - In Honor Of Richard Blynman First Minister and Leading Citizen Of Gloucester Who in 1643 Dug This Canal Uniting River and Bay - G.H.S." Opening sometimes up to sixty times a day, the bridge is the source of long delays and probably much frustration for summertime motorists who must wait patiently for boat traffic to pass under the drawbridge before they can continue to their destinations. Known more popularly as the "Cut Bridge", the Blynman Bridge is named for Reverend Richard Blynman, a Welsh Puritan, who organized First Parish Church in Gloucester in 1642. A businessman as well as a spiritual leader, in 1643, Rev. Blynman supervised the cutting of the first canal (which also bears his name) at the south harbor end of the Annisquam River, the Native American word for "river with two mouths", so that fishing boats would have a safer passage home if they fished north of Gloucester. Rather than sail all the way around to Ipswich Bay at the mercy of the Atlantic Ocean, when it was constructed in 1643, the canal allowed fishing boats to safely cut across Cape Ann and sail up the salt water estuary of the Annisquam River to reach Annisquam Harbor. Once the drawbridge lowers, you can continue down Stacy Boulevard until you arrive at the most famous of statues - "The Man at the Wheel" aka the Gloucester Fishermen's Memorial Statue. Facing the outer harbor in Gloucester, Massachusetts, the memorial is dedicated to the 10,000 Gloucester fishermen who have lost their lives at sea over the centuries and a reminder that fishing is our country’s most dangerous occupation. And his wonders in the deep." Dressed in oilskins standing braced at the wheel on the sloping deck of his ship, the 8-foot-tall bronze statue was commissioned as part of the celebration of Gloucester’s 300th anniversary in 1923. The base of the statue was placed at the site that year, but the actual statue was not unveiled until 1925. Designed by English sculptor Leonard Craske (1877-1951), the statute is based on a 1901 painting by Gloucester artist A.W. Buhler. In 1923 Captain Clayton Morrissey, a prominent Gloucester fisherman, posed for Craske who also spent many hours aboard fishing vessels watching the fishermen work. Once the captain of the Effie M. Morrissey which sails today as the Schooner Ernestina, Morrisey died in 1932 at the age of 62 in Hyannisport while aboard the Nimbus preparing to make his second trip in pursuit of Spanish treasure thought to be on an old British frigate which had sunk off Lewes, Delaware. Cast by the Gorham Company of Providence, Rhode Island, the "Fishermen's Memorial Cenotaph" was added to the National Register of Historic Places in 1996. In front of the bronze statue are granite stones with plaques listing the names of all of Gloucester's fishermen whom the sea has claimed including the crew of the Andrea Gail, a commercial fishing vessel that was lost at sea with all hands during the "Perfect Storm" also known as the "Halloween Nor'easter of 1991." The ill-fated Andrea Gail began her final voyage departing from Gloucester Harbor on September 20, 1991, bound for the Grand Banks off the coast of Newfoundland, Canada in search of swordfish. Despite weather reports warning of dangerous conditions, the captain set course for home on October 26–27. Their last reported position was 180 miles northeast of Sable Island on October 28 when Tyne's final recorded words were "She's comin' on, boys, and she's comin' on strong." Fuel drums, a fuel tank, the EPIRB (emergency position-indicating radio beacon), an empty life raft, and some other flotsam were the only wreckage ever found. An extensive rescue effort was launched by the US and Canadian Coast Guards, but to no avail; the ship was presumed lost at sea somewhere along the continental shelf near Sable Island after authorities called off the search for the missing vessel on November 9 due to the low probability of the survival of the crew. All six of the crew were presumed lost at sea as their names joined those on the memorial as well as being immortalized in Sebastian Junger’s 1998 book The Perfect Storm which was made into a 2000 movie of the same name starring George Clooney. On a less somber note, it should be mentioned that the famous "Gorton's Fisherman" is based on the same 1901 painting by A.W. Buhler as the Fishermen's Memorial. "The Man at the Wheel" was adopted by the Slade Gorton & Company, now known as Gorton's of Gloucester, as the company's logo in 1905 almost 20 years before he appeared on the Stacy Esplanade. The national distribution of their products along with the catchphrase "Trust the Gorton's Fisherman", have combined with the popularity of the statue making “The Man at the Wheel” a well-recognized icon of the courage and fortitude of Gloucester fishermen the world over. No doubt you've seen the Gorton's Fisherman in your local store's freezer section a time or two! That, "They who go down to the sea in ships," shall not perish. Ten Pound Island, which tradition says received its name from the amount of money paid to the local Indians for the property by the early settlers but more likely named for the number of sheep pens (also known as pounds) on the island, is located on the east side of Gloucester Harbor and visible directly across from the monument. Originally constructed to help mariners find their way into Gloucester's inner harbor and to help them avoid a dangerous ledge to the southwest of the island, Congress appropriated funds for a light station on Ten Pound Island in May 1820 to build a 20-foot conical stone lighthouse tower along with a stone dwelling. The light was in service by October 1821. In 1925, a Coast Guard air station was put on Ten Pound Island containing one small scout plane. Later two amphibious vehicles were added to the station with the initial purpose of the operation being to catch rum runners in the area during Prohibition. In 1956, Ten Pound Island Light was decommissioned and the fifth-order Fresnel lens was removed and replaced by a modern optic put on the old bell tower then later moved to a skeleton tower. The Fresnel lens is now at the Maine Lighthouse Museum in Rockland, Maine while the keeper's house and outbuildings were reduced to rubble. In the late 1980s, the Lighthouse Preservation Society initiated the restoration of the 1881 30-foot cast iron tower with brick lining which had replaced the original 1821 tower. The cost of restoration was about $45,000 with funds raised by the society, a donation by The Bank of New England, a Massachusetts Historical Commission grant, and a federal grant. Following over two years of restorations, Ten Pound Island Light was relighted as an active aid to navigation in a ceremony complete with fireworks on August 7, 1989, Lighthouse Bicentennial Day. Ten Pound Island Light can be seen from many points along the Gloucester waterfront with closer views available from tour boats that pass through the harbor. While the island is open to private boaters, there is no landing facility except a small sandy beach and the lighthouse is not open to the public. As much as there is to see at Stage Fort Park and along the scenic esplanade of Stacy Boulevard (including several historical markers that I didn't include here) and as much as you might want to just sit on one of those benches pictured above and simply gaze out to sea while contemplating the beauty of the world for hours on end, there's a lot more to see and do in Gloucester like visit a museum, browse an art gallery, bask on a beach, walk around and explore their working waterfront, tour a historic house or two, search out a lighthouse, head out to sea for a a whale watch or other cruise, eat some delicious seafood - or maybe even partake of a taste of Mexico - so be sure to come back for additional posts about America's oldest seaport.